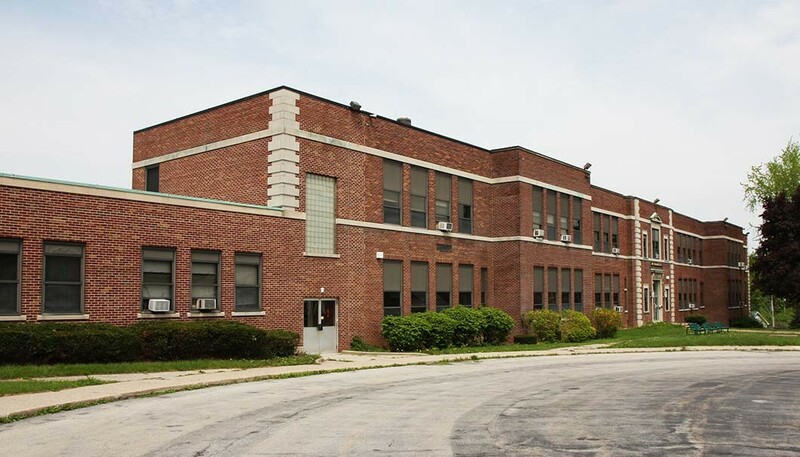 This building is the former Eggert Road Elementary School and was last used by the Cantalician Center for Learning, but has since been vacant for several years. Ellicott Development has created a vision for the restoration of this building that embodies its previous uses. The old classrooms of 1350 Eggert Road will be converted into 29 apartment units which will each have a “vintage classic schoolhouse” theme. Units will be in one, two, and three bedroom layouts and will range from 775 to just over 1700 square feet. While the apartments will have typical luxurious features such as custom kitchens, stainless steel appliances, slate countertops, and porcelain tile baths, they will also use materials from the former classrooms in the restoration. Units will have designer schoolhouse themed lighting and chalkboards will be used in the millwork. Original terrazzo floors in the former “hallways” and hardwood floors in the “gym” will all also be restored. Commercial space in 1350 Eggert will also be available (4,647sf and 2,000sf). A new parking lot with landscaping will provide ample parking for all tenants and visitors.